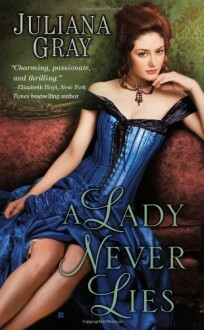 Lady Alexandra Morley, an alluring widow, is desperate to devise a plan to reverse her fortunes. When fate lands her in the arms of Phineas "Finn" Burke, an attractive inventor, she despairs of ever getting what she needs...until they kiss. Finn has always been impervious to the charms of the female species, intent only on perfecting his "horseless carriage" engine. He never dreamed he'd meet a woman like Alexandra, who is as stubborn as she is comely. Despite the brewing scandal, Finn longs to make Alexandra his wife, but he must first convince the maddening lady that their love is the only thing that matters. Funny, enjoyable read, especially the car race in Rome at the end of the story. The Midsummer's Eve celebration with masks is quite off, though - masks are for pagan winter celebrations - Hallowe'en, Christmas (mummers) and Carnival, not summer and Midsummer's Eve. DNF at 23%It bored me to death, I don't like the characters or the writing. Loved this whole series, but this one was probably my favorite. The characters were all so well developed and the storyline was different and intriguing. Can I just say... I LOVED Finn!